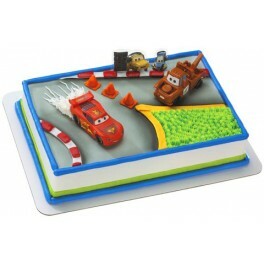 One Cars 2 World Grand Prix Cake Decorating Kit. 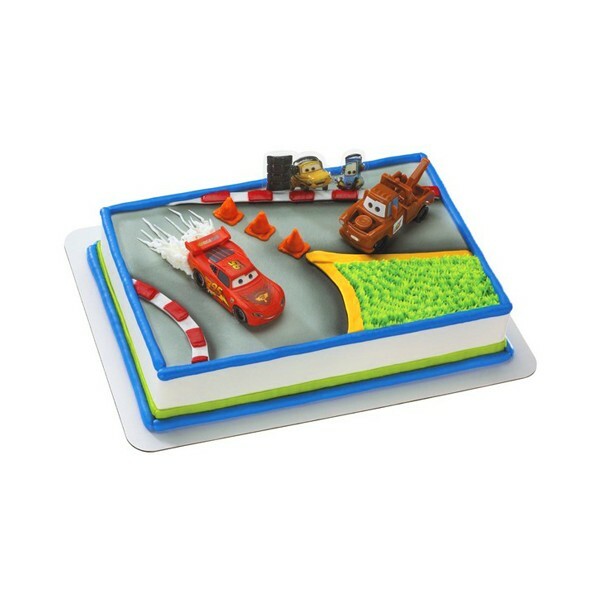 Kit includes one Lightning McQueen measuring 3.5" long by 2" wide, one Tow Mater measuring 3.5" long by 1.5" wide and one backdrop measuring 3" by 2.5". The cars are made of durable plastic. A fun collectible after the party.